Your domain name is very important not only from a branding perspective but also for many other reasons. You should therefore not rush into registering the first name that appeals to you, but give it some thought and back it up by thorough research. Many domain names are registered and then abandoned by their owners who rushed with their registration. You can find a few tips on choosing a good domain name on our blog or talk to us, before you waste your time and money. Getting a domain name involves registering the name you want with an organisation called ICANN through a domain name registrar. A domain name is the unique identification label given to your website, so that it can be found among the millions of other websites on the internet. The name is like a car registration number, it has to be unique to identify the car and its owner. A domain name consists of 2 parts, a name and an extension. The combination of the domain name and the extension must be unique worldwide. Therefore, if you would like to register a domain name coastaltours.com and someone else has already registered it before you, you have to come up with an alternative name e.g. coastaltoursuk.com, mycoastaltours.comor register it with a different extension e.g. coastaltours.co.uk . Domain name registration is pretty straight forward and you can do it yourself online. The cost of the registration varies depending on the registrar and the domain extension. To register a .com domain costs approximately €10 excl VAT, but you can get it slightly cheaper if you use a non-Irish registrar. Local domain names are a bit more expensive. An Irish domain extension (.ie) will set you back €20- €30 per year plus VAT. The registration needs to be renewed each year or your ownership of your domain name will lapse and your website will disappear off the web. Your domain name registrar or your webmaster should keep an eye on this for you, and send you a notice that your domain name is due for renewal. It is a good idea to choose an option to have the registration renewed automatically. As they say, better safe than sorry. If you intend to run your business a for a while, it is advisable to register the name for more than one year. It ticks a small box in the search algorithm and gives your site an extra push in the search results. Be extra careful when choosing your domain name registrar as you won’t be able to move your domain from one registrar to another for at least 60 days after the registration. We have heard some horror stories about registrars not renewing domains when they should, suspending domains on a whim and charging a hefty fee for transferring a domain name to another registrar. To transfer a domain you need a so called EPP code (Authorisation code) from your registrar. This code can be a pain to obtain. We ourselves had a few hassles with registrars who pulled all stops not to issue them. Also be careful if you register your domain in the business name or you let someone else register the name on your behalf. As websites become one of the prime business assets, you may have a problem later on in getting it transferred to your own name. We now use Namecheap registrar for all our international domain registrations such as .com, .org or .net. Namecheap registrar is inexpensive and it provides great service. You get a Free Positive SSL and a WhoisGuard with every domain name registration. WhoisGuard is important to protect your identity otherwise your name and your contact details (as the domain owner) can be viewed by anyone who enquires about it. You need a Positive SSL if you plan to sell anything online e.g. via PayPal. Registering an Irish domain name is slightly more complicated. You need to prove that you own a business in Ireland and that your domain name is somehow related to your registered business activities. The rules have relaxed a bit in the past years, but you still need to prove that you have some kind of legal right to the domain name. 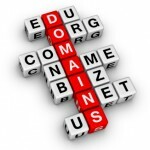 Need some help with domain name registration? If you would like us to help you with choosing a domain name or a domain name registration, please contact us.